Santa Claus came to my door and gave me some presents that had been on my wishlist. I'm starting to think that our idea of Santa Claus is wrong because he was driving a brown truck and the boxes said they were from the Amazon. It makes sense that an old man like him would want to be somewhere warmer than the North Pole though. It seems like there's a lot of defunct chess improvement blogs out there, especially as it relates to the Knights Errant. I like going through and reading them in one shot to see how their thinking evolved over time. Plus I always feel like I learn something new from at least one post. I came across the Chess Vision blog by a Dutch expert who was very close to the master title. His last post was 4 years ago, so it's possible he's surpassed that by now. He had a post titled "High Level Scanning" which relates back to pattern recognition that I found interesting. 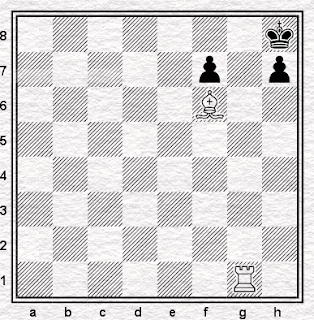 He then shows two basic mating patterns that someone would have stored to lead them to the forcing sequence that secures the win for White. 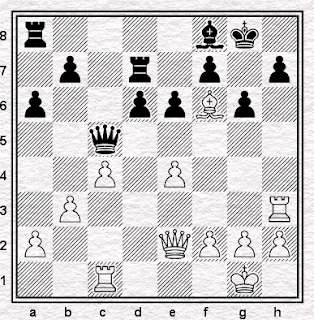 Unfortunately however there is that darn Queen on c5 preventing this winning combination (1 Qh5? Qxh5). But a simple deflection does the trick here. After 1 b4! Qxb4 we are back to the variations given above. This is what high level scanning should bring about. Focal gamma bursts that retrieve the right patterns and that make calculating look really easy! But to lift your scanning skills enough to reach this level, they have to be build up step by step." Which brings me back to the title of this post. I need to increase my store of basic mating patterns. Bain has some good mates in it, but I've found that when trying to solve random "mate in X" diagrams on the web, I'm not particularly good at them. 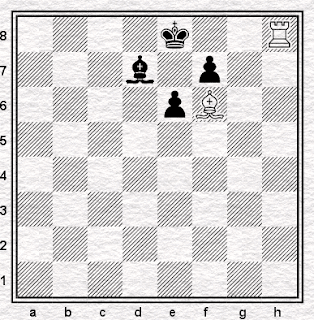 Qh5 is certainly a move I would reject initially while trying to force this position into my other patterns. The Mattson book only has a Kindle version, but it's $2.99. He wrote the book for his son to help him learn mates greater than 1 move. It contains 63 "patterns" which are broken down by attacking piece grouping IE Q+B, Q+N, R+B, etc. Each pattern has 1-6 "mate in X" problems associated with it. The problem comes from a game and the full PGN is listed in the solution. The 1st problem will be a mate in 1, the next problem will be mate in 2 all from the same game. So you learn to reverse engineer the mate. The book usually follows a "show a diagram of the pattern" followed by "show the mating combination from the game starting with mate in 1". Some patterns have more than one diagram associated with it, and will have a game for each diagram. The most amount of problems associated with any one pattern is 6. There are a total of 204 problems. At less than two cents per problem, it seems like a pretty good deal. The problems should work well with the speed repetition training I'm doing. Any other good, realistic, checkmate problem books out there? The three checkmate books Bright Knight reviewed from Heisman's list didn't seem like they were suitable for this type of training. Woolum actually contains 60% mate problems, but I haven't gone through them to see how contrived they are. And speaking of "reverse engineering" a chess problem, that reminds me of the Ted Talk GM Maurice Ashley gave about retrograde analysis and pattern recognition. The problems in Woolum mostly are not contrived. They are mostly realistic game positions. There are one or two very tricky compositions, and a few trick questions. The book is suitable for speed training. The harder books I used are more suitable for accuracy training. Lucas chess is free of charge, has spaced repetition already implemented and comes with a collection of 50000 mate in 2 problems ( and much more ). 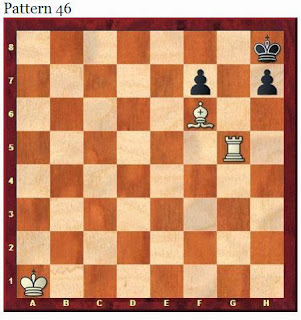 There are more pgn-collections of mate-problems which can be easily used with lucaschess. You can use free spaced repetition chess puzzle trainings tool Yatt with any pgn too. Here an example of "your" pattern in the form 5x5 as book http://aoxomoxoa-wondering.blogspot.de/2011_08_01_archive.html . The ( in my eyes best ) chess Training software ( but ) without build in spaced repetition is the software from chessok/peshk@. CT-Art will give you the Pattern you are looking for on a 5x5 miniboard, they are the same as printed in Block's books. But CT-Art is not only about mate. 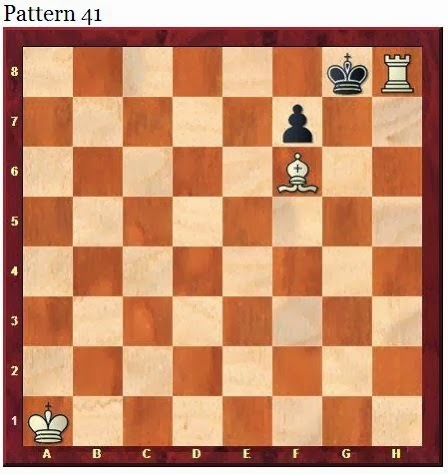 There is a special software called "CT-Art mating combinations" : http://chessok.com/shop/index.php?main_page=product_info&cPath=7_26_29&products_id=417 but sadly these problems dont come with 5x5 pattern..